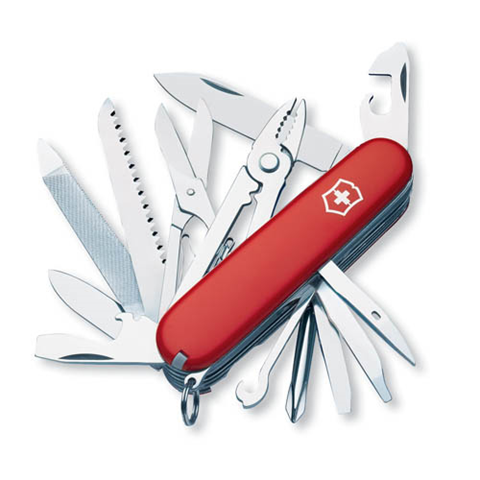 Calling this free application “a system cleaner” is more than a slight understatement – it’s a bit more “Swiss Army Knife” than that. The inclusion of a System Tweaker, AutoRun Manager, and File Wipe module, takes this application out of the “run of the mill” category. After considerable testing, and retesting, I gave Comodo System Cleaner a big “thumbs up”. Registry Cleaner – Optimizes and repairs your Windows registry by running an in-depth scan to remove, or repair, unnecessary or corrupted registry keys. Disk Cleaner – This utility lets you quickly clear them all, to free up space and improve performance. Also allows you to schedule regular clean up routines. Privacy Cleaner – Obliterates your digital paper trail and helps protect you from identity theft by cleaning history, cache, cookies and usage records from Internet browsers, Windows locations, and popular software. System Settings – With over 50 tweaks in the ‘System Settings’ area alone, you can optimize Windows behavior in a more powerful and intuitive way than ever before. System Information – Detailed and easily accessible ‘dashboard’ summary of all the hardware and software installed on your computer. Autorun Manager – Fingertip control over exactly which programs and services start with Windows. Helps improve Windows boot up time, stops unwanted programs from hogging system resources and boosts overall system performance and stability. File Pending Delete – Provides the ability to delete files that are locked and cannot otherwise be deleted when in Windows ‘User Mode’. Specifying a file with the ‘File Pend Delete’ tool will schedule that file to be deleted immediately after the next system restart. File Wiper – Allows you to permanently remove confidential or sensitive files from your hard drive. When you ‘delete’ a file in Windows, you are really only removing the reference to that file from the system table. The file itself remains on your drive and could be easily re-opened by data thieves. ‘File Wiper’ ensures that the files you want to delete are comprehensively erased and cannot be recovered. Free – for both home and business users. I’m a big fan of “all-in-one” system utilities and I have to admit, I really liked this all-in-one free application, with its simple and effective user interface. I particularly liked the easy access the user interface allows to Windows system settings (even on my Windows 7 machine), which makes tweaking the OS a snap. As the fast facts point out, this application has a wide range of built in system utilities, which in my view, are perfect for the new, or casual computer user. I should point out however; the built in registry cleaner, just like all registry cleaners, should be used cautiously. Here’s why – despite the fact that the registry cleaner has a neat feature; it will restart your machine to test if the registry removal will adversely affect your system, on my first test run, this module screwed up my game settings. I’m not blaming the module. It was my own fault, since I did not exercise proper caution. Just goes to show you – even geeks can be careless! It was not a big deal to recover but………. What makes this free application even more interesting is; it’s available as a portable program which can easily be run from a USB drive. Great for geeks! Comodo provides a comparison chart, on their site, which illustrates the differences between their application and the competition, which you may find interesting. 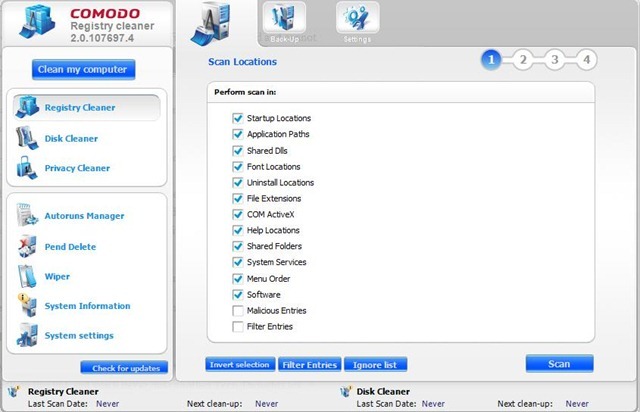 When I need that weekly deep cleaning, or I need additional system access, Comodo System Cleaner has become my “go to” application. For everyday routine cleaning, I’ll continue to use Ccleaner since it’s FAST and really, it’s so simple, that it’s a bit of a “no brainer”. Recommendation: I’m a big fan of Comodo’s products, including their free Firewall and AntiVirus software. So I was expecting big things from Comodo System Cleaner, and I wasn’t disappointed. 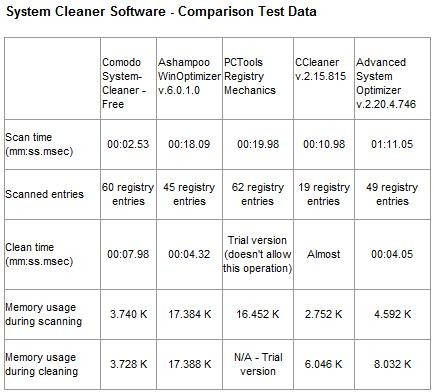 Comodo System Cleaner is definitely worth considering as an addition to your system utilities toolbox. If you’re building a portable “tech tools” flash drive, this application is a worthy addition. Comodo’s system cleaner is very good but please use the “safe delete” option or otherwise you’ll regret you did not. Reg cleaners or not safe to use unless you know what you are doing. I respect your viewpoint on this Andy. You’re quite right – registry cleaners can be hazardous to PC health. Thank you for another educated comment. Just spent some time working with this – a very cool application! Glad to hear you found this application useful. Its just one amazing product by comodo!